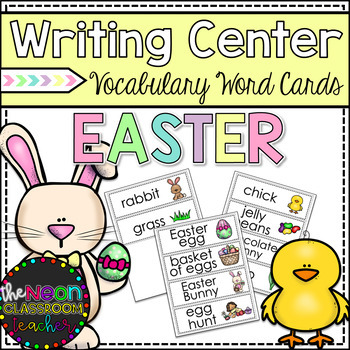 Included in this pack are 10 full-color word cards of words about Easter! Just print, laminate and cut apart. I put mine on a ring and hang a set in my writing center and another for use in small groups during our Easter themed week...they LOVE to write their own stories using these words.